When interacting with media at the wrap up party #Sushant said, #Sara is passionate and hardworking actress, it was a lot of fun working with her. #SushantSinghRajput, #SaraAliKhan and director #AbhishekKapoor were spotted at the wrap up party of their upcoming film #Kedarnath on Sunday evening. 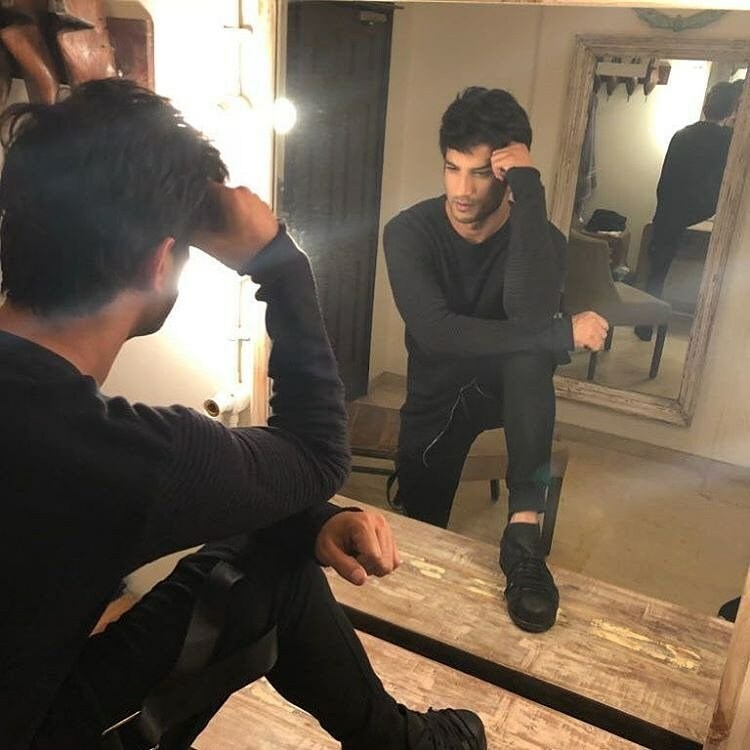 Sushant while talking about his debutant co star, Sara said, "I remember the passion I had when I was new in the industry and capability to work hard, Sara (Ali Khan) has both. I had a lot of fun working with her and soon you will find out more." The actor who has worked with Abhishek Kapoor in his debut film ‘Kai Po Che’ said the director has a special place in his life. "I was excited for the script which is why I signed it and Abhishek is very special in my life. He gave me my first film and when sometime back we were talking I had told him is he has a scripts and wants me to be a part of it I would love to work with him. That's how we started with this film and its workshops." Talking about singing 'Kedarnath' Sushant admitted he was nervous for the film's shoot. "I am always excited when I sign a film, then think that I won’t be able to do it, so I give it all my best and hope that everyone enjoys the movie. Right now, that’s all I am doing, hoping that everyone will enjoy the film we have made." Abhishek Kapoor's 'Kedarnath' is a love story unfolds against the picturesque background of Kedarnath and is scheduled to release on Nov 30th. Sushant will be next seen in 'Chanda Mama Door Ke' directed by Sanjay Puran Singh Chauhan alongside R Mahadevan and Nawazuddin Siddiqui in lead roles. He will also appear Dharma Production's drive with Jacqueline Fernadez. Mental Hai Kya Releasing in 2019! Shweta Tripathi And Chaitanya Sharma Are Married!